We take a look at the deception and coverup by Lou20764 regarding his "UFO" video "UFO ****AIRCRAFT CARRIER SIZE**** ''2'' CAMERAS!! 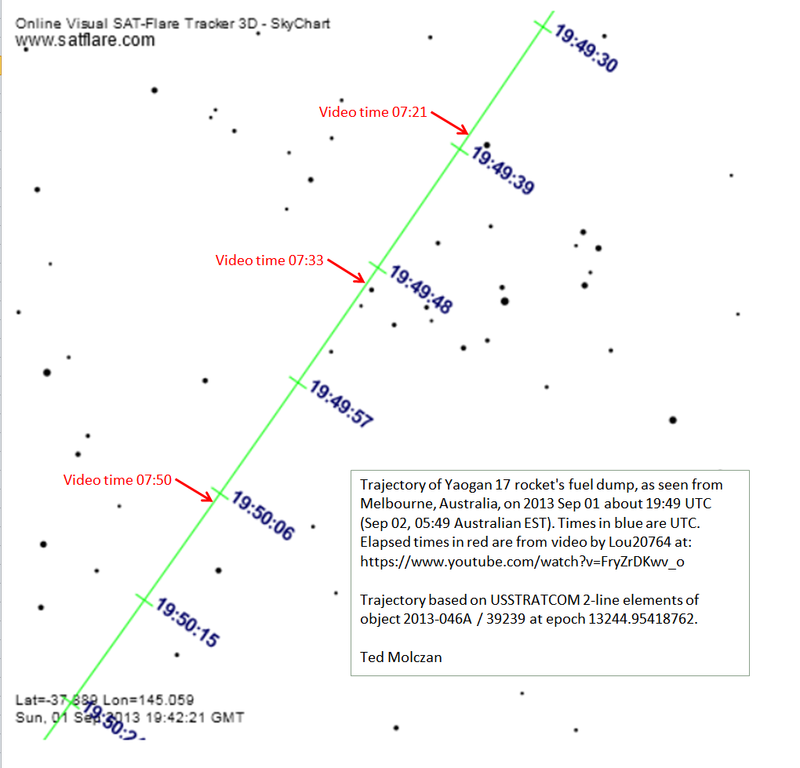 -Melbourne Australia SEPT 2 2013 **EXCLUSIVE**"
Lou20764 has been deleting the comments and information that positively identify his "UFO" as a Chinese satellite launch..
"UFO ****AIRCRAFT CARRIER SIZE**** ''2'' CAMERAS!! -Melbourne Australia SEPT 2 2013 **EXCLUSIVE**"